More from the True Colors range! 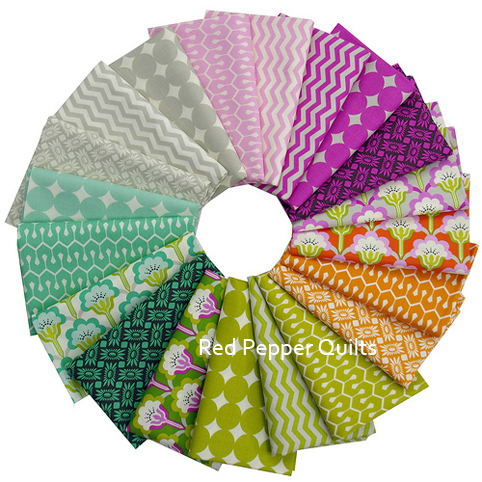 True Colors is a designer driven fabric program by FreeSpirit Fabric featuring modern basic prints from FreeSpirit designers - Anna Maria Horner, Joel Dewberry, Jenean Morrison, and Heather Bailey - each contributing five prints in four distinctive colorways. This range of fabrics is True Colors by Heather Bailey and it is my second True Colors collection to be stashed (see True Colors by Joel Dewberry here). 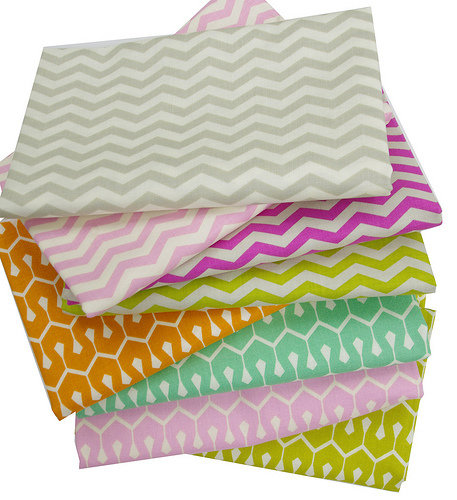 If I am to play fabric favorites then this range may just be the one. I am really drawn to the soft colors (Eek, even the purples! ), the relatively smaller scale and simplicity of the designs. 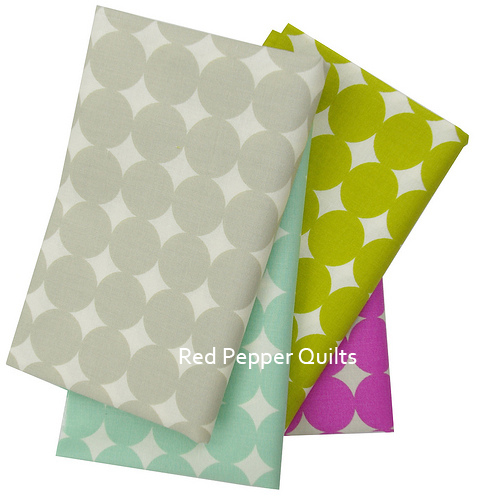 I do also like these perfectly arranged dots - graphic, simple, structured and great colors. Perfect stash basics. These are so pure of colour--- beautiful. Thank you for sharing them with us. This pretty fabric is what my son gave me for Christmas. It's already arrived and I've spent a silly amount of time sorting and stacking up in different way and just generally admiring it. 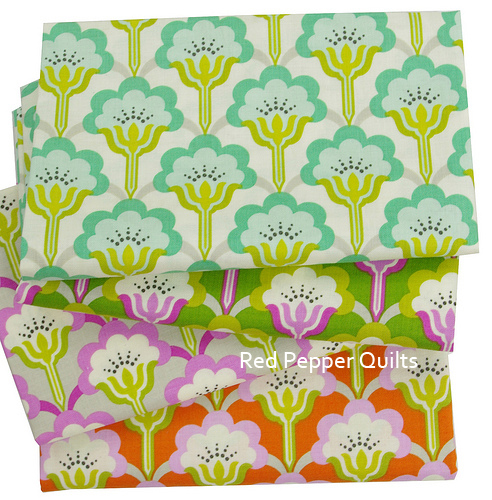 I have been wanting these fabrics!! How lucky you are to have them. They are on sale at different places. Maybe Santa will bring me some! I picked up a few of these and some AMH and Joel Dewberry recently. What a fun idea for a line of fabric. I liked the Joel Dewberry lines (are they leaf veins, tree veins)?Anyway, those were my favorite of them all.